The photo below is an image of a living room in a custom home built and designed by Corey Schoenauer , the president and owner of One World Builders. The unpainted large wood trim visually separates the ceiling and walls. 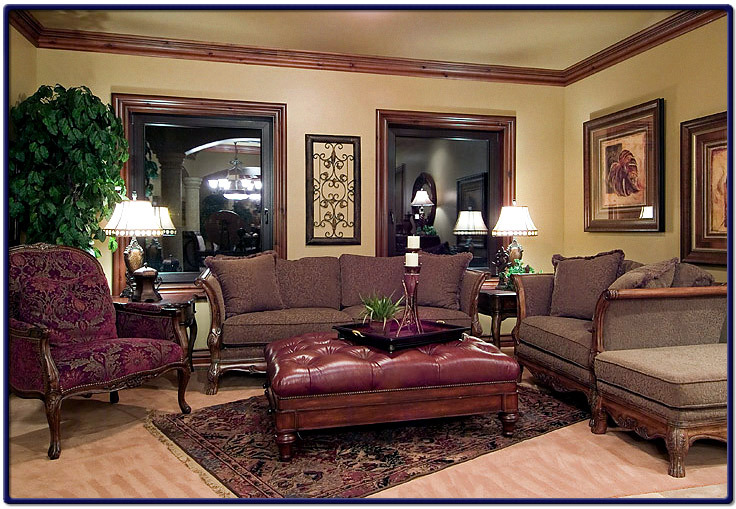 This type of design enhances the richness of the living room, and quality of the furniture itself.